From left: U.S. Air Force Chief Master Sgt. 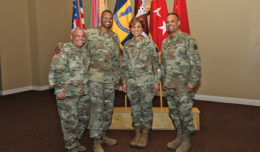 Diena Mosley, Command Chief 30th Space Wing, U.S. Army Lt. Col. Katrina Walters, Deputy Chief of Clinical Services Weed Army Community Hospital, U.S. Navy Cmdr. Elizabeth Reeves, Preventive Medicine Officer, 1 Marine Expeditionary Force, U.S. Army Brig. Gen. Jill K Faris, Assistant Surgeon General for Mobilization, Readiness and National Guard Affairs sat on the women’s health panel to discuss their expert practices in preventive, acute, and chronic healthcare for military women during the Joint Women Leadership Symposium June 20. 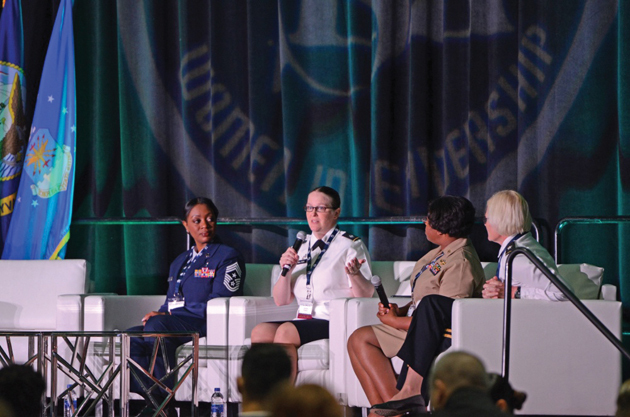 SAN DIEGO, Calif. — Lt. Col. Katrina E. Walters attended the annual Joint Women Leadership Symposium, themed “The Power Within You,” as a guest speaker on the healthcare panel at San Diego Convention Center, June 21. “This was an amazing opportunity. It was very humbling to be on a panel with Brig. 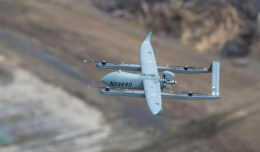 Gen. [Jill] Faris, who is a key female leader in the military, and just get an opportunity to share some pearls of wisdom, or some nuggets, that folks can take home with them,” said Walters. Seated before a packed audience of more than 1,000 female service members from all branches of the U.S. military, including some uniformed male supporters and civilian employees, Walters’ words resonated throughout the conference room. “You have to be an advocate for your own health,” she said. The health and wellness panel included military health care professionals who discussed their expert practices in preventive, acute, and chronic healthcare for military women. The panel also discussed health benefits for service members and their families. The JWLS is a professional development and networking event for military women that provides military members and civilian employees of the Navy, Marine Corps, Air Force, Army and Coast Guard with access to mentorship and professional development assets not otherwise available in a single setting. The purpose of the event is to enhance diversity, recruitment and retention through presentations, discussions and training on leadership and professional growth within the Department of Defense. “I knew I wanted to be in medicine since a young age. I was a candy striper when I was in middle school. Science and helping people really fascinated me. My dad was in the Navy, so I was a Navy brat and the idea of serving in the military was always something that was on the table. Looking at opportunities of how I was going to pay for medical school and get there; the military seemed like a very easy way to do that. In terms of determining which service, there’s no one that does medicine better than the [U.S.] Army,” stated Walters. Humbled by the opportunity to educate fellow service members regarding emerging healthcare concerns of women in the military, Walters credit her fortunate career to the U.S. Army and Army Medicine. After graduating from West Point she obtained her doctorate from the Uniformed Services University of Health Science and completed an internship and residency in Family Medicine at Tripler Army Medical Center, Tripler, Hawaii. Walters completed a fellowship in Advanced Obstetrics at Swedish Medical Center in Seattle, Washington. During the panel she noted her passion for topics such as infertility. 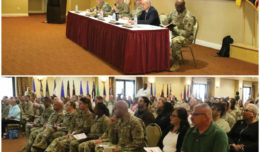 She encouraged those who want to utilize the many opportunities military health care have to offer, especially in these areas, to remember every step starts with opening the line of communication with their primary care managers. Depending on what the service member is looking for they should, “find the right provider for you,” she recommended. With the modernization of healthcare in today’s world the U.S. military, along with Army Medicine, offer viable options for servicewoman and family members to help in many areas. As Walters said, see your primary care manager to discuss what options you have.